The new show launched will empower listeners to navigate obstacles faced. 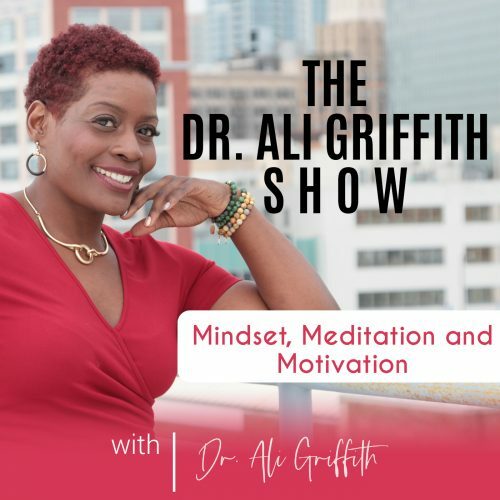 Join Dr. Ali Griffith and her guests, as they share how to eliminate toxic negative thinking to BOLDLY shift towards positive energy power. Each week, The Dr. Ali Griffith will invite new guests to share their experiences and skills to help motivate others. These conversations will cover things which include what is stopping people from fulfilling their dreams, and how meditation and positive thinking can improve a person’s life. It will also include advice about parenting, special needs, autism, and entrepreneurial guidance. Tens of millions of people around the world are unable to live their life to the full. Many of those people miss out on promotions at work, while others fail to achieve a proper relationship with others. Some people fail to achieve their dreams of starting a new business, while others struggle to make a new business succeed. By having the right motivation, and removing negative obstacles, dreams and goals can be achieved. The new show will give people the tools, tips and the confidence and motivation they need to give meaning to their life. Dr. Alisha “Ali” Griffith is a compassionate professionally trained educator, speech-language pathologist, and an audiologist for nearly two decades. She has worked in schools, homes, offices, and in her own practice connecting those with speech and hearing difficulties. Through her work, Dr. Griffith has helped many BELIEVE in themselves and SHIFT their self-talk.